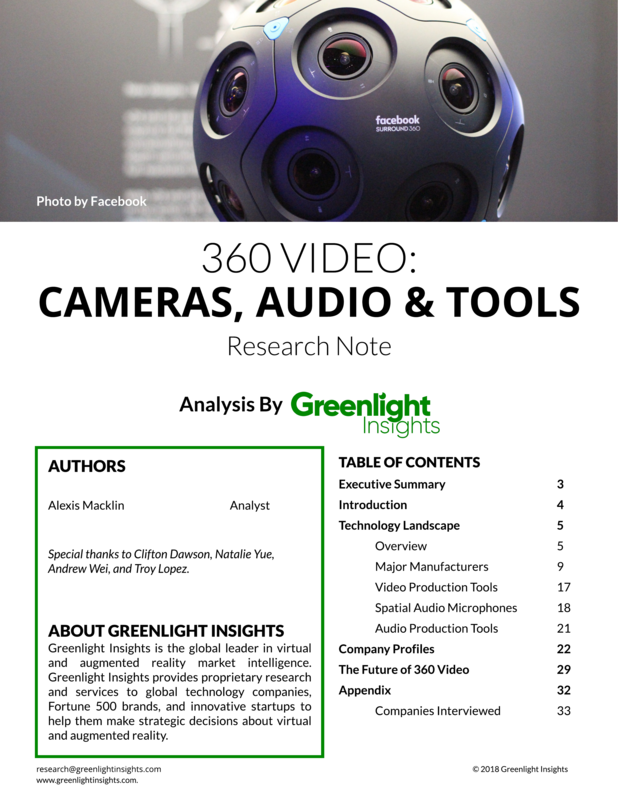 33-page report detailing the competitive landscape and future trends for the VR Cameras & Software markets. Companies/Products Profiled: Humaneyes, Giroptic, GoPro, Insta360, Kodak, Nokia, Ricoh, Samsung, YI Technologies, Z Cam, Google, Facebook, Lytro, Radiant Images, and others. Learn about our insights platform.